We left yesterday morning to Houston, which was being hit with heavy flooding. We had an appointment to meet the dealer at 3PM, and were barely on track to make it after several hours of delays. We originally anticipated getting there around noon or so, in hopes that we could get out of there sooner and be back to Austin before the heavy storms moved in. When we were about half an hour from the dealer, the dealer called and told us that they were closing for the day. Flood waters were running up the access roads and they all wanted to make sure they could get home before the roads were inaccessible. Understanding of this, we decided to find a hotel and stay the night, rather than drive three hours back home during the storm. When we rolled into town, we headed for a LaQuinta. I stood in line for about 45 minutes among many people trying to find rooms for the night, many of them displaced by the flooding, but was turned away because we had three dogs and they didn’t have a room in which they could accommodate us. When we offered to buy two rooms and split up between them, we were turned away on the premise that they did not have sufficient availability. I returned to the truck and spent the next hour or so calling other hotels, and came up empty handed. We texted the sales guy we had been working with, and he gave us the gate code, allowing us to go back to our RV for the night. Since that wasn’t in our original plans, and we had no supplies, we dropped by a local Wal-Mart, spent about $60 on basics, and settled in for the night back at the dealer. This morning we woke up around 8AM to the service manager knocking on the door, who offered to help us run through all the systems real quick, make sure everything was working to our standards, and let us get on the road. We were heading back to Austin by 9AM. The roads were clear once we left the Houston area, and the rig pulled nicely despite being a little heavier than I’d like with my stock wheels and tires. The hitch was amazing, and I cannot recommend it enough. The Pullrite we had before was nice, but this was night and day above it in ride quality. Expensive, but I’m going to call it well worth the investment. 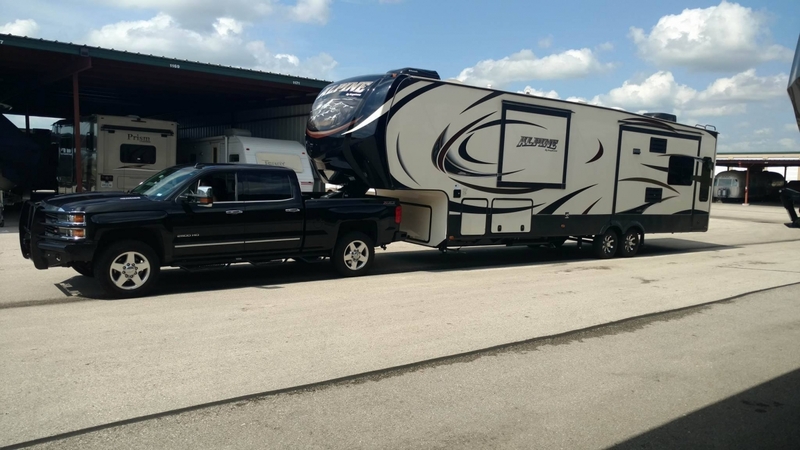 He was more knowledgeable and personable than many of the RV dealership service reps we’ve dealt with in the past, so I have to give the dealer, RV Station, props for that. 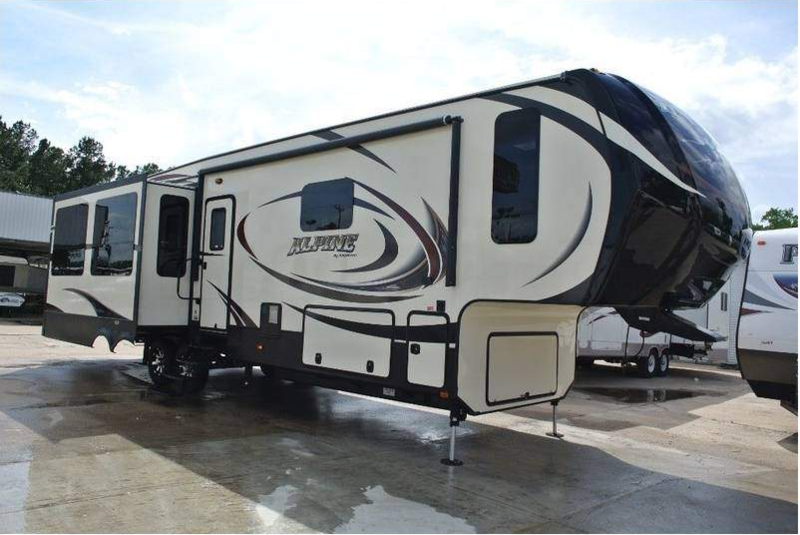 I also appreciate the fact that the salesman gave us the gate code and let us seek shelter in the new RV.